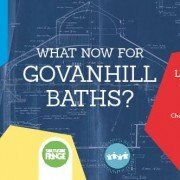 https://www.govanhillbaths.com/wp-content/uploads/2016/05/13139143_1111802545506740_8979440682440712933_n.jpg 332 590 editor https://www.govanhillbaths.com/wp-content/uploads/2014/12/Govenhill-Baths-alt-Logo.png editor2016-05-26 16:35:032016-05-26 16:37:29What Now for Govanhill Baths? 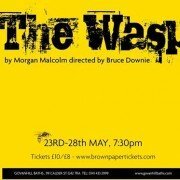 This year’s production for the Southside Fringe Festival is The Wasp, written by Morgan Malcolm and directed by our own Bruce Downie. This scintillating thriller sees Carla and Heather, a school bully and her victim, reunited after 20 years. As they catch up over cups of tea it becomes apparent that their lives could scarcely be more different: Carla struggles to make ends meet and, with her fifth child on the way, is still sucking on cigarettes; while Heather has a successful career and a beautiful home, which she shares with her husband. But awkward conversation soon makes way for dramatic revelations as Heather presents Carla with a big bag of cash and a shocking business proposal. 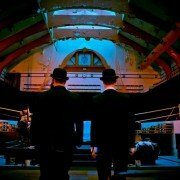 Govanhill Theatre are committed to bringing community theatre to this area, if you live within the G42 postcode, there are £1 tickets available for all of our productions, contact Jim on 0141 433 2999 info@govanhillbaths.com for details.